Zombie Podcasts Worth Your Time | We Zombie! 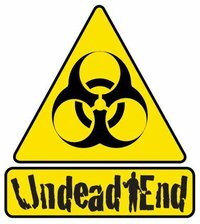 In case you haven’t heard about them, there are a couple of serialized zombie podcasts out there that are worth listening to – the first is The Undead End, from Boston University’s WTBU Radio. The story is a zombie apocalypse including the events leading up to the outbreak. Episodes are streamed each Thursday night at 7:30 pm Eastern time on WTBURadio.org, and are available the next morning on iTunes. Links are also available through the story’s website or on their facebook page. Good acting so far and a great audio, so go listen. Another excellent podcast, We’re Alive, is in it’s second season, and it is a great production. I’ve posted about this podcast before, but thought I would mention it again since the second season started last month. I would take the time to go back to season one and listen to the whole story before embarking on season two – it will make more sense and you’ll enjoy the story. Episodes come out each Monday, are available on iTunes or from a player on their website. The production value on this podcast is excellent and the characters are varied and deeply developed to keep you interested in the story. Put on your headphones at work and listen while you work, or just enjoy it laying on your couch at home. 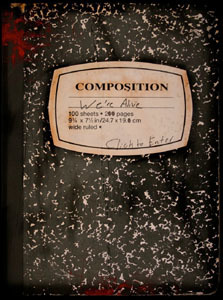 We’re alive – podcast – Best zombie podcast ever! Cannot find one like anywhere really hanging out for the new series! Best zombie podcast ever! Cannot find one like anywhere really hanging out for the new series! Hey, if you’re into zombie podcasts, might I recommend checking out our own? It isn’t all zombies, all the time, but we do have a solid undead thread. We’re Alive is the best zombie podcast out. It’s packed with action and will keep you addicted all season long.